So we're a week into November and I'm only just getting around to bring you the Style Cost spend for October. Not going to lie, last month was hectic. I had my birthday, a number of events including the Spend-Less SS 17/18 launch and I resigned from work. So things have been a bit chaotic lately and I have had very little motivation to get organised / dress nicely / take photos because, well, stress. Being my birthday month, I was tempted by plenty of special retail offers, some I took up, some I did not. Some I took up and then took back when they weren't right. 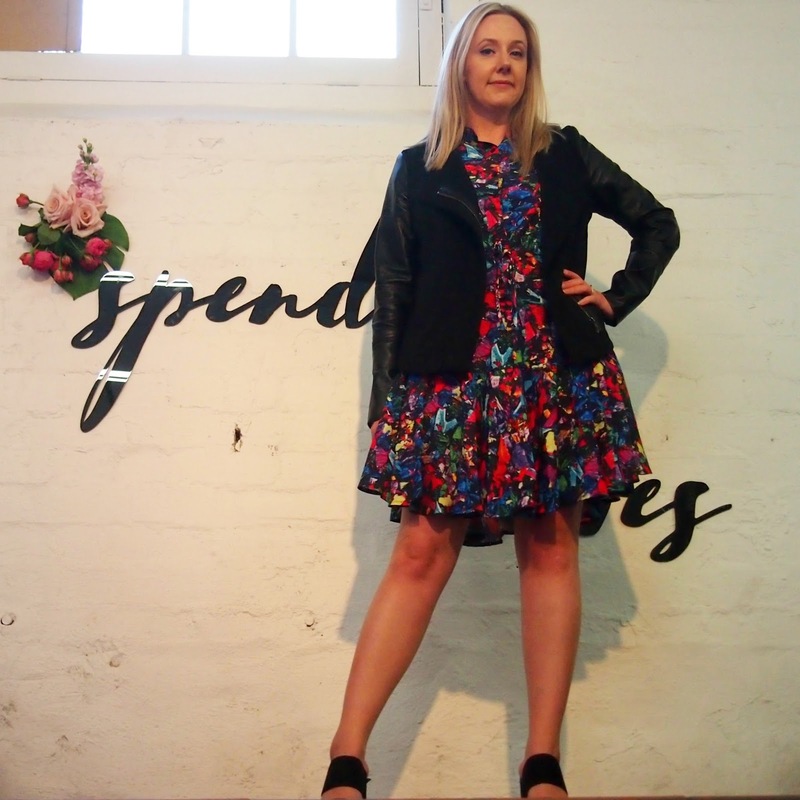 The first pop was two dresses from Little Party Dress, whose wares I have been admiring on fellow bloggers for some time. I got the Kenzie Paparazzi print and the Megan in navy floral and got 10% off my first purchase. Yeah, that's a compression sock on my ankle. I jumped down the stairs racing to answer the phone and blew my ankle out. As I mentioned, chaotic, stress etc. I bought a couple of dresses from eShakti but I'm not sure what to do about them yet. I haven't worn them, haven't photographed them so I'm just pretending they don't exist right now. Bear with me. As I mentioned, I went to the Spend-Less launch and came home with no less than four pairs of new shoes kindly gifted which was very pleasing, as you can imagine. I got a Mimco $15 birthday reward and used it during my styling session at Rundle Place with muh girl Jenni from Styling Curvy on two pairs of earrings, the Rock Solid hoops and the Sweet Dream drops in rose gold (surprise surprise). These ended up being $40 each after the reward and my $20 booking fee redeemable on products. I also won a $10 voucher for Rundle Place. Yay! Also with a birthday 15% off, I went to Best & Less and picked up an $8 top off the clearance rack. I haven't worn it yet and I'm not sure if I will but I think it just hasn't been warm enough since to think about it. 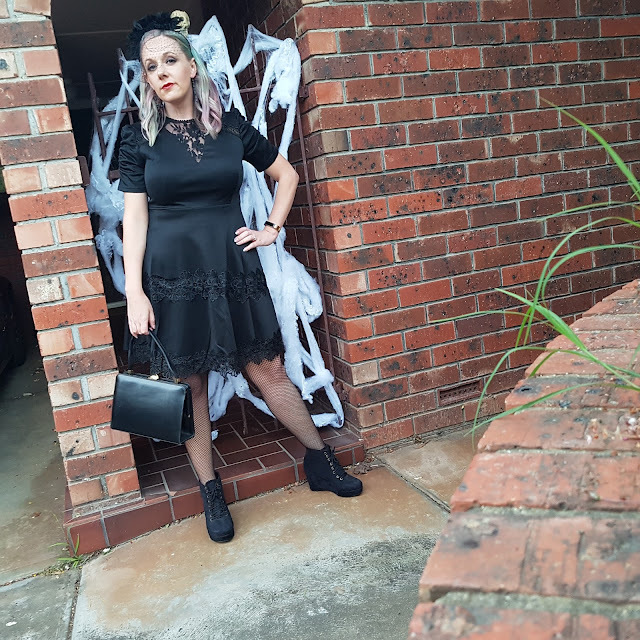 I grabbed a dress from ASOS to wear for my DJ turn on Halloween. I'm not sure if I'll wear it normally so it may end up in the dress-up box but it was $93 marked down to $45 so that was good enough. By the way, my hair is still goddamn green. 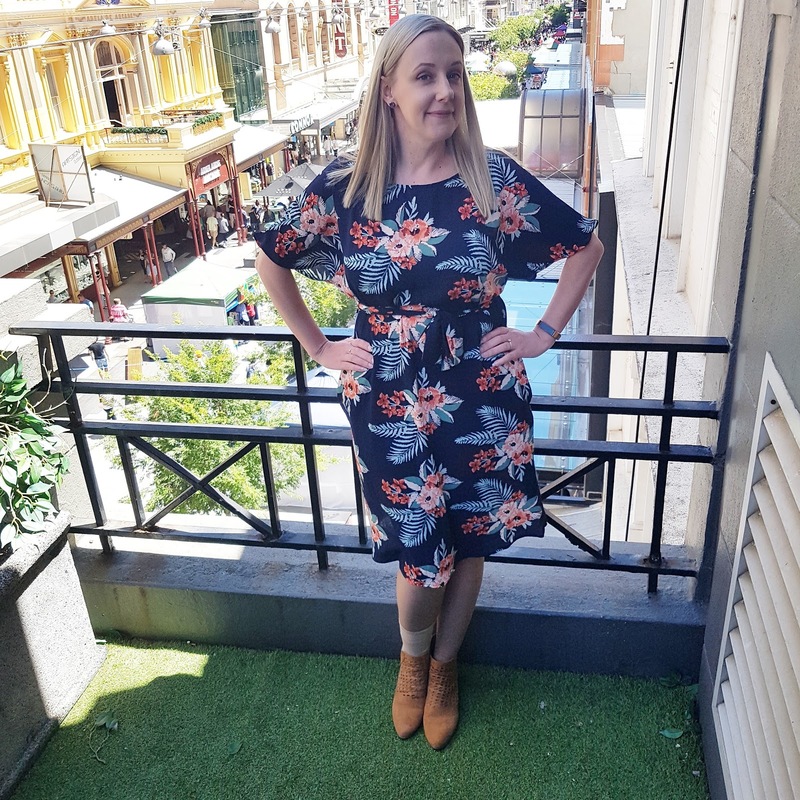 Finally, my friend Ali from Philosophy Australia sent me a STUNNER of a top that I cannot wait to wear, except it's gone back to being criminally cold in Adelaide (I am literally in front of the heater right now) and it's sleeveless, so I'll have to be patient. I must apologise for the slapdash nature of this post and hope I can bring you the quality you've come to expect from Almost Posh next month, however given I could soon be without income, the only thing I'm looking for at the moment is a decent interview outfit. How's your life treating you at the moment?